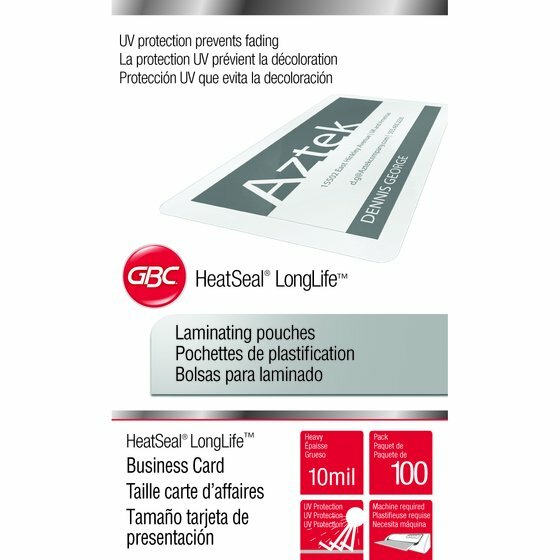 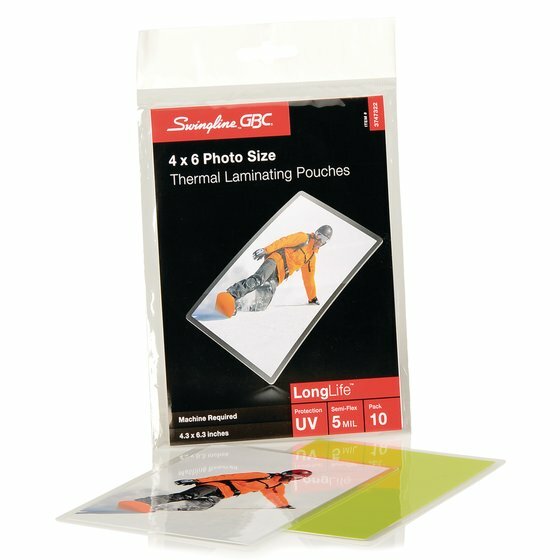 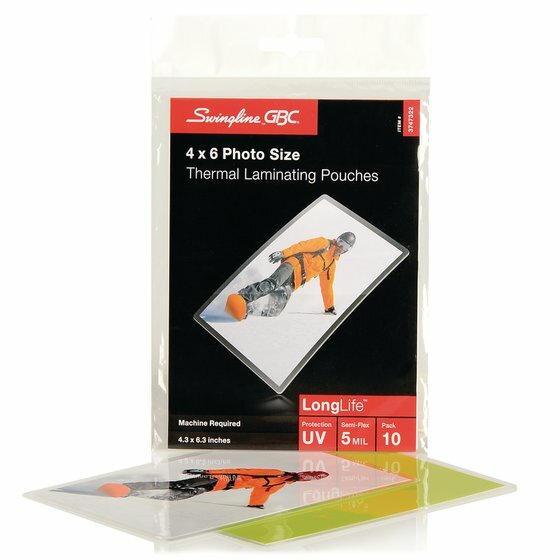 LongLife thermal pouches with ultraviolet protection prevent documents from yellowing or fading over time. 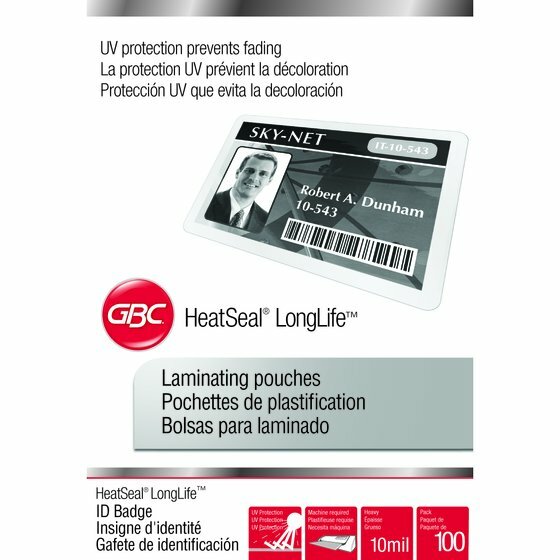 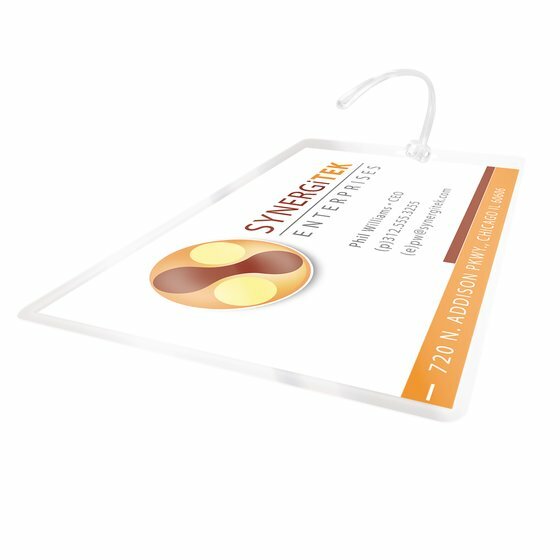 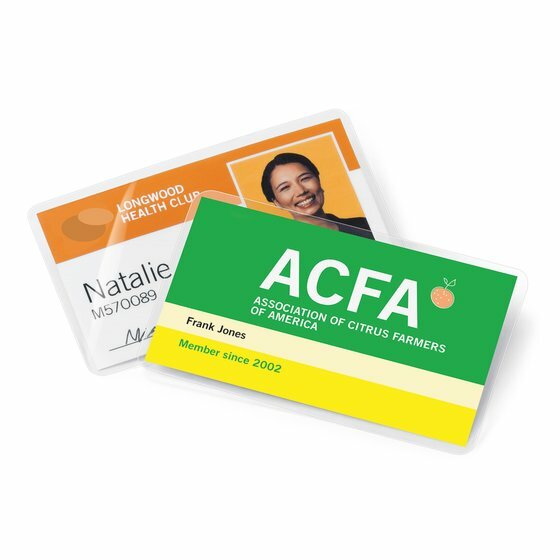 These pouches keep all your laminated items looking their best and are the ideal solution to laminate any document that needs to be preserved or is frequently referenced. 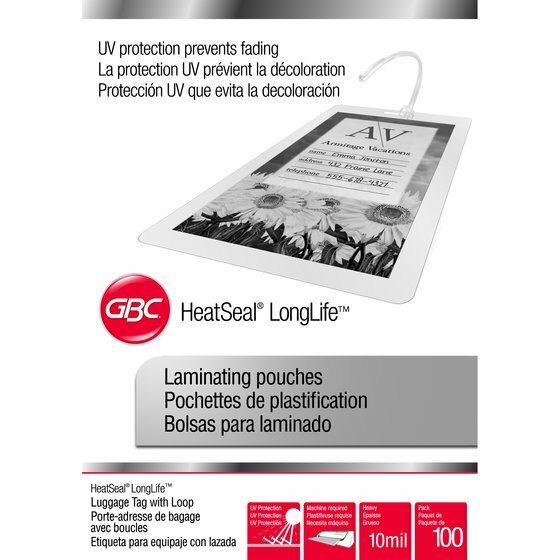 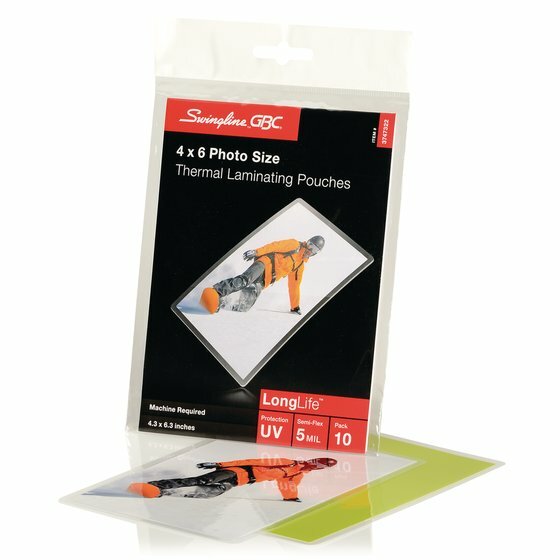 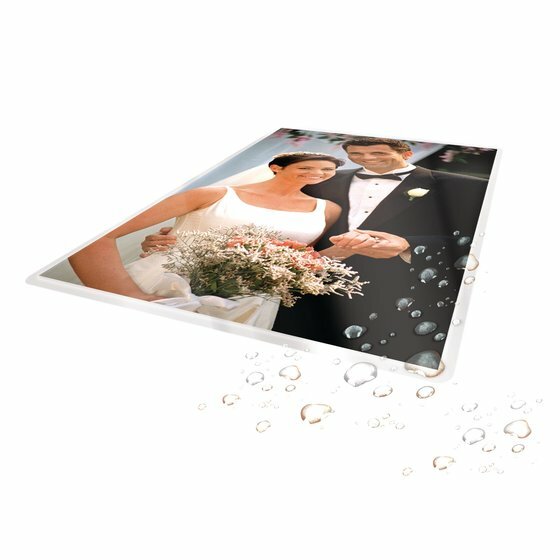 Suitable for use with any thermal pouch laminator.